Want to commit to learning how to dance. We sell our term passes just for you, These Gold pass (term passes) can be used within the space of 3 Months and includes 10 Lessons at any of our locations. Just Pay $120 Upfront and well give you a Term Pass. Our term passes can be used for any single session venues run by Passionata Dance. Gold Passes can be purchased from our Instructors, Just ask a head instructor at the start or end of the lesson. 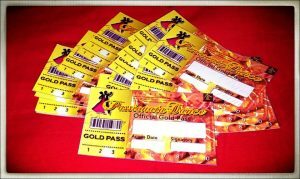 Includes: Gold pass x 10 Lessons to be used at Passionata Dance venues (Valid for use within 3 months). Click here to Purchase or call us directly on 0412 550 855.